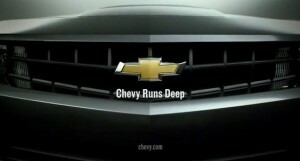 All the hubbub surrounding Chevrolet’s new tagline, “Runs Deep,” is a bit puzzling to me. In my mind, a tagline is like any other creative expression. And evaluation of any creativity is highly subjective. 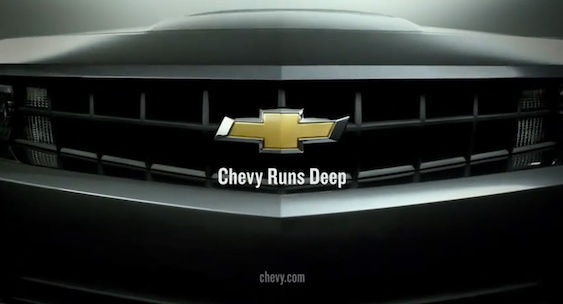 So it’s no wonder that some people like Justin Hyde call “Chevy Runs Deep” “the worst ad slogan ever,” and on USAToday’s site Fred Meyer says “’Chevy Runs Deep’ sounds a little like Chevrolet makes torpedoes”; while a commenter on one of the many articles and blogpost about the line named Syke counters “A bit about ‘we’ve been here for years, and we’re going to continue to be here’ doesn’t hurt.” And others have even chimed in with their own suggestions, including “You had Chevy’s back, now we’ve got yours” from commenter Robert Walter. In a world where it seems everyone is a frustrated copywriter, taglines make good fodder for people’s opinions – and that’s simply what they are – opinions. A few months ago Forbes published a list of what it called the “Best-Loved Advertising Taglines.” To create the list, it tapped a group of 10 CMOs and advertising experts, including Barry Judge, chief marketing officer of Best Buy; Michael Mendenhall, senior vice president and chief marketing officer for Hewlett-Packard, and Gerry Rubin of advertising and marketing agency Rubin, Postaer and Associates. industry category – I categorized the lines by company industry, thinking that categories which were used more universally might have taglines with greater appeal. But what I found was a broad range of categories – everything from automotive to technology to food, and even a corporate line (GE’s). So it doesn’t appear that category type correlates with great taglines. type of appeal – Then I thought perhaps that the type of the appeal, or the message strategy, might have something to do with it. So I classified each line by whether it was a message about general product or service quality, or whether the message distinguished the product in some other way, or whether it was an emotional appeal (there was also an “other” category into which the PSAs and a couple of other lines fell.) But again, I found no pattern. Ten of the lines were emotional appeals but the rest fell into the other categories. So no meaningful conclusion from this perspective. subject – Finally I looked at whether the tagline was a statement about the brand (e.g., Avis’ “We Try Harder”) or one about the customer (e.g., Virginia Slims’ “You’ve Come a Long Way Baby). Fourteen out of the 25 were “about us” statements; 11 were “about you” – so this analysis was inconclusive as well. What this all tells me is there are no clear rules for creating effective taglines. And what makes a great tagline is more art than science. That’s not to say strategy isn’t important. Obviously taglines like any brand communication must emanate from the brand platform and align with the communication objectives. But how that strategy is expressed is a creative judgment – just as how well the tagline is liked is a creative judgment as well. would “just do it” still cut it?